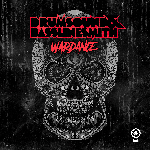 Renowned drum & bass producers Drumsound & Bassline Smith return next week with their anticipated single, Close. Since forming over a decade ago in 1999, the trio consisting of Andrew Wright, Benjamin Wiggett and Simon Smith have established themselves as a respectable underground music outfit while achieving impressive crossover success. Annie Mac, Zane Lowe, Fabio & Grooverider and Annie Nightingale have all championed their music over the years.